Mercap participates in the 15th International Conference on Financial Business Technology. 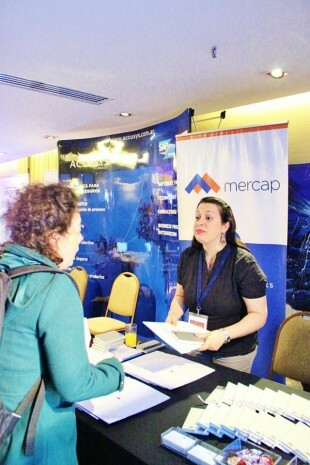 During the 29th and 30th of June of 2015, in the Sheraton Libertador Hotel, Mercap was a sponsor of the 15th International Conference on Financial Business Technology, organized by the AMBA (Argentine Bank Marketing Association). Over 250 participants attended the Conference. Market leaders (like the Banco Ciudad, Banco Francés and Banco Provincia) as well as the most important service providers from the banking technology sector (Red Link, Banelco, Microsoft, Metrotel and, of course, Mercap) were represented. Mercap had a stand where the attendees came forward to learn about the solution that is today’s market leader in bank investment management: Mercap Unitrade. At the end of the event, we raffled two bottles of Baron B champagne. Congratulations to the winners!